What if your grandparents need to head out before you stop celebrating at your reception? What if by the time Donna Summer belts out that last dance you only have nine people "beside you, to guide you" as you run to your getaway car? Or even better, what if you're not actually going anywhere, but rather, staying on the grounds where your reception took place? Got a simple suggestion for today. 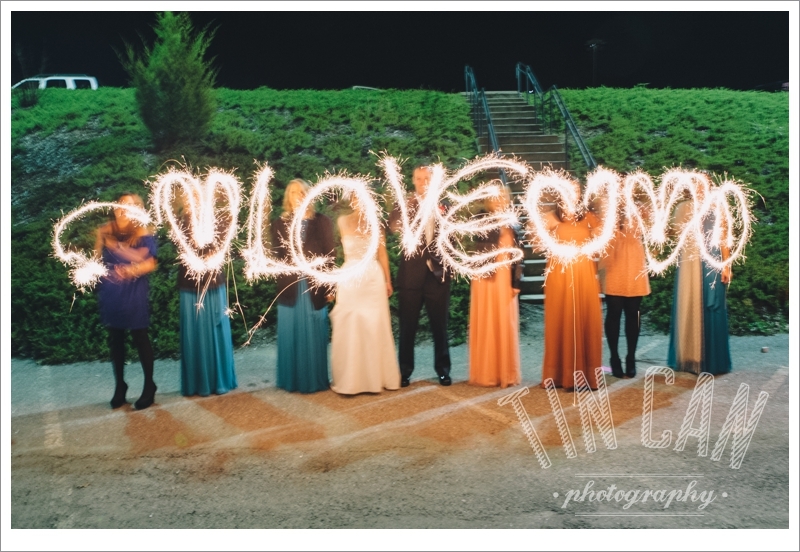 If getting that big exit shot is important to you (I mean, c'mon, it's always such a fun image! 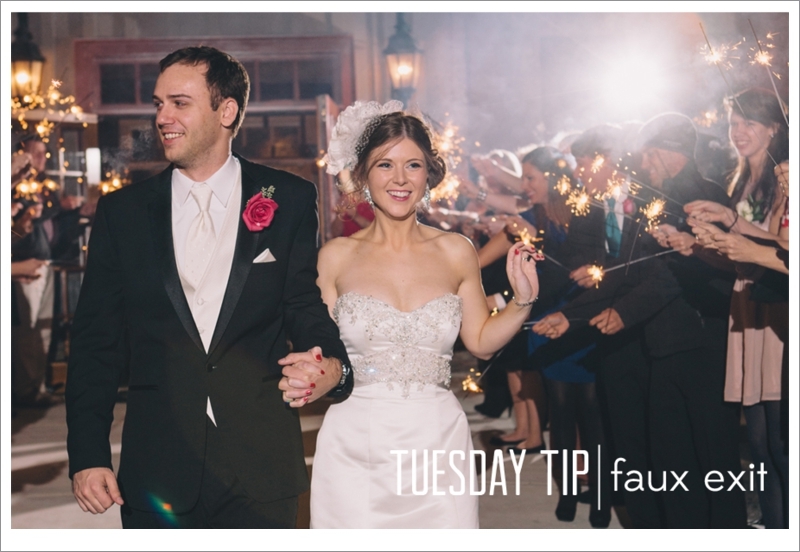 ), consider incorporating a faux exit into your big day. This is a great way to allow everyone in attendance to cheer you on, and it gives those who need to depart before the witching hour a polite exit.